Learn more about Ms. Bowersock and her other books on her website or stalkher on Facebook. I didn’t know what to expect in Blood Walk, I’ve gotten used to the way Sam and Lacey work. This time Ms. Bowersock throws the reader, along with Sam and Lacey, a curve ball that changes things up with unexpected consequences. Trying to catch a gruesome serial killer who seems to not have a discernable pattern besides the disposal of his victims. The police are perplexed and welcome Sam’s mediumistic assistance. The plot moves at a nice pace as Sam and Lacey try to identify the elusive killer and plan their wedding. Lacey has amazing Google skillz that offer as much guidance as Sam’s readings. (Honestly, I don’t know if Lacey uses Google. I just wanted to say Google skillz.) 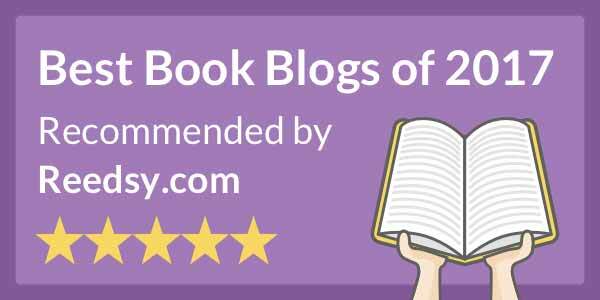 Blood Walk is well written with fully rounded characters and intelligent dialogue. The end of the first storyline is full of suspense, tension, and heart stopping action. The end of the story is heartwarming and may leave you with happy tears. It did me. I can’t wait for the next book. Anyone who loves mysteries with a small dose of the supernatural will enjoy this book. And the whole series. 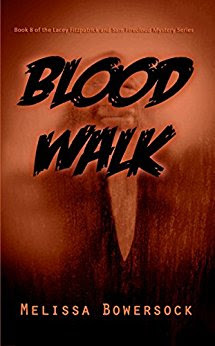 Blood Walk is the eighth book in Ms. Bowersock’s A LACEY FITZPATRICK and SAM FIRECLOUD MYSYTERY SERIES. Each of these mysteries can be read as a standalone if you choose. 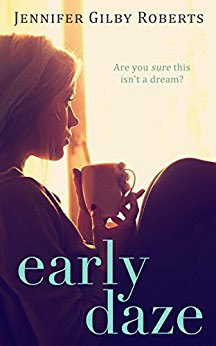 However, I am enjoying the relationship developing between Lacey and Sam, so I would recommend reading from the beginning to get the full benefit of their storyline. Gemma Green is an Averter whose job it is to stop people from making terrible choices. On her first assignment, she knows Russ, one of the most popular boys in school, will decide to drink and drive that weekend, maiming himself and killing the passenger in the car. Gemma successfully stops him with her powers, but something goes wrong and he feels drawn to her. That’s only the beginning of Gemma’s problems. Kenechi Udogu lives in London and enjoys writing paranormal stories. You can read more about her at her website or follow her on Facebook. When I’m disappointed to put a book down because life gets in the way, I know a five-star book is in the making. 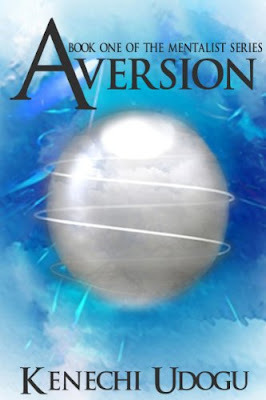 Recently, while I took the train into New York City, I started reading Aversion. After just 25 minutes, I was hooked on Aversion, but my train ride was also over … too quickly. I loved the idea of this book where Gemma Green’s job in life is to stop people from doing things that could mess up their lives. She’s been trained by her father, who is also an Averter. However, her first aversion doesn’t go as planned. Russ Tanner, a popular athlete, is about to make a horrible choice where he goes to a party, get drunk and gets into a car accident killing the passengers in his car. Gemma sees it before it happens and manages to push the thought into his mind that he shouldn’t go to the party. Except when Russ comes up to Gemma at school on Monday and says hello. Gemma is an outcast and keeps to herself. There is no reason for Russ to want to talk to her, but he tells her that he felt compelled to do so. Something is clearly wrong. Turns out that Gemma is the first female Averter in a very, very long time, and she thinks that may have something to do with it. The book turns into more than just a budding teenage romance by adding intrigue with a paranormal touch. Questions that immediately come into play such as ‘Why is Gemma the only female Averter’ and ‘What went wrong with her first aversion,’ are clearly answered during the course of Aversion. The best part, the answers were satisfying. While the book doesn’t necessarily end with a cliffhanger, there is certainly room for more stories to come out of Kenechi Ugodu’s world. “Nathan Maguire is a Guardian of Danu, and he possesses a deadly psychic gift. He also has a checkered past. As a young man, he spent time in prison, where he learned the rudiments of tattooing, a skill he has built into a successful business in Tampa, Florida. He’s content with his life – until a beautiful FBI profiler walks into his shop. Talia Werner has come to deliver an urgent message from one of the other Guardians. The trouble is no one outside that select group is supposed to know they exist. Nate doesn’t believe Talia and suspects she is up to no-good. Meanwhile, she finds out a woman was brutally murdered not far from Nate’s shop. This is the third such killing in the past two months. A serial killer is loose in Tampa. Working with the police, Talia discovers all three of the victims bore a blue butterfly tattoo, one of Nate’s designs. Suspicion falls on him but quickly points to other tattoo artists. Enlisting his aid in meeting and interviewing them, Talia develops a growing attraction to the man, who isn’t at all what he seems to be on the surface. Nate returns her feelings and their relationship heats up. Nathan Maguire has a good reason to be suspicious of the woman who walks into his tattoo parlor with a message asking him to make a phone call to a man he doesn’t know. He’s a member of an elite secret group of protectors for the Goddess Danu. He isn’t aware that Talia lied to her boss, at the FBI bureau, to deliver an urgent message to Mr. Maguire, in Tampa, Florida, from her former FBI partner, Dev Medina. Needless to say the mistrust is mutual. 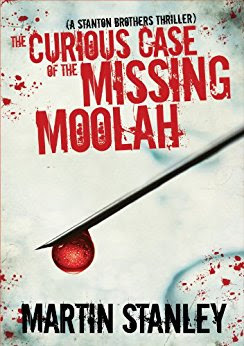 When Talia hears about a possible serial killer in the Tampa area she offers her service to the local police since she is a profiler for the FBI. She plans on using the extra time in the Tampa area to convince Nathan to make the urgent call to Dev. Things heat up, in more ways than one, as Nathan helps her investigation and they get to know each other better. It turns out the woman who doesn’t think she needs protection really does need Nathan to protect her. The plot twists are an emotional roller-coaster ride as I became invested in both character’s journey. One twist in particular is downright funny. Another is horrifying. The dialogue is realistic and engaging. 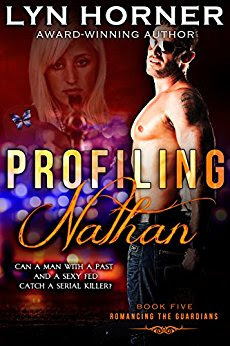 Profiling Nathan is another great addition to Ms. Horner’s Romancing the Guardians series, weaving together mystery with a touch of paranormal, adventure, and romance. I am looking forward to locating the next guardian of Danu. Profiling Nathan is book five in Lyn Honer’s Romancing the Guardians series. I would recommend reading this series in order starting with Rescuing Lara. This book does contain sexual situations that may offend some. Douglas Lindsay was born in Scotland, but now resides in the south of England with his family having lived in Belgium and Senegal in between. Douglas has written several novels with protagonist Barney Thomson taking centre stage. The Unburied Dead marks the debut of DS Hutton. 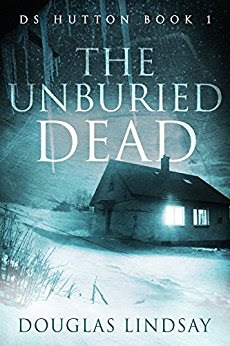 I thoroughly enjoyed The Unburied Dead, Lindsay doesn't mess around with the story, he just gets right into it from the outset and then drives at a heady pace where events whip past the reader. The narrative is clipped, often using the bare minimum of words. At the outset the reader meets Hutton, a man whose difficult past overlaps and complicates his present. He's a copper, not the brightest, but tenacious and ultimately wants to get to the truth, regardless of cost. His personal life is all over the place, several divorces behind him, along with a multitude of one night stands and affairs. Hutton joined up because of Bloonsbury, but the guy is a disappointment these days, and spends most of his time drunk. The Unburied Dead is mainly written in first person (Hutton), present tense which helps keep up the pace. Periodically the author also drops in short chapters in third person where we're in the mind of the deranged killer. Again it works well and adds an extra layer. The story is set up to and over Christmas, but the season of goodwill doesn't extend to the investigating team and the victims, it's a nice offset. The characters are excellent, the vast majority of which are police. Almost to a person they have their problems, quirks and behaviours. Besides Hutton and Bloonsbury there's DI Taylor, a good detective but another with a messy life - the job has destroyed his marriage. Then Superintendent Miller, an attractive woman who seems to sleep with everyone (including Hutton, whilst his wife is trying to rekindle their relationship) and Crow, an ex-copper who now lives in his own detritus, among others. One aspect I really enjoyed was the way the author utilised the characters. Although there is brevity in the tale Lindsay shows interactions between the players, how and why they live their lives with wry observations of life thrown in. One example is a night out where everyone gets drunk, a constable in particular who dances in an increasing state of undress and then isn't allowed to forget it. Added for Reprise Review: The Unburied Dead by Douglas Lindsay was the winner in the Crime Fiction category for B&P 2015 Readers' Choice Awards. Original review ran March 13, 2014. “Children, art, and her little family. 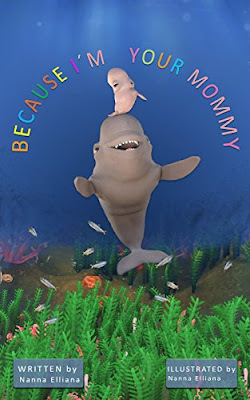 Designed as a bedtime story and an excellent length for that purpose, Because I’m Your Mommy is a fun story for young kids (think in terms of two up to six-ish) although I could see a sibling a few years older enjoying it with a younger sibling, either with the parent reading or possibly reading it to the younger sibling. “What’s behind the final door? Maggie Brandt is the lone survivor of the fire that claimed her mother, her brother, and her childhood home. Turtle and Thunderbird, ancient Native American spirits who have enlisted her help, say the fire was necessary. They insist Maggie must move on quickly, for a greater trial is coming: the renewal of the earth, which only she can complete. But first she must check in on two of her children: Emily in California and Tim in Mexico City. And something else is pulling her to Mexico, too – an ancient entity whose task Maggie will want no part of. To learn more about Ms. Cantwell, check out her website or stalk heron Facebook. I love this trilogy all the way through. Watching Maggie grow in ways I never expected. Her adventure in this book is a large part of the story. The plot twists frequently as Maggie follows her instincts to first procure an RV to drive across country to visit her daughter in California and her son in Mexico City. Maggie and Rick take off on this journey together as their relationship grows stronger only to falter, as Rick starts to get pushy and tries to interfere with things that are important to Maggie. I almost cried, they seemed like such a good fit! There is so much packed in this last book of the trilogy. And Maggie is taking her role in the earth’s renewal seriously as she challenges a goddess and saves a young boy’s life, while still being there for her family. The dialogue is realistic and informative. I love Maggie, she is a true heroine, and I wish I was a part of her extended family. The ending is surprising, heart-breaking, and encouraging. It also fits well with Maggie’s own renewal of her character. Well done, Ms. Cantwell. 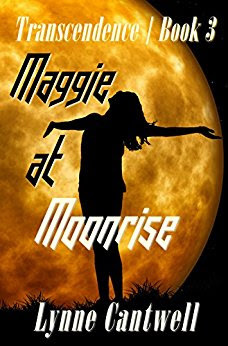 Maggie at Moonrise is the third book in Ms. Cantwell’s TRANSCENDENCE SERIES. It is important to read this series in order as the story builds on the previous books. Book one, Maggie in the Dark and book two, Maggie on the Cusp. No issues with formatting or proofing. “When Alyssa wakes up on the lawn of a local fraternity, she can’t remember what happened the previous night. A new friend and frat guy, Justin, offers to help her out. As she makes discoveries that force her to accept a different reality, she finds herself drawn to Justin for a number of reasons. To learn more about this multi-genre author check out her website and Facebook page. When Alyssa Masters, a freshman college student, wakes up on a fraternity’s front lawn. She’s hungover and not wearing her own clothes. She has very foggy memories of the night before. This is out of character for her, she doesn’t drink or go to parties like her roommates. Aly is a straight-laced student and fears what she can’t remember from the previous night. Justin finds her on the lawn and offers to help her back to her dorm and to unravel the mystery of just exactly what happened at the party. Justin remembers seeing Aly go upstairs with Brendan, a frat brother. Unfortunately Brendan left the college early Sunday morning. The plot has a nice pace as Aly and Justin search for answers. I found the dialogue mostly believable. This is a sweet story that challenges Aly to reevaluate her reclusive and introverted nature. 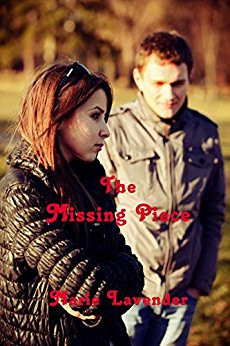 The Missing Piece is a quick enjoyable story. Jess falls pregnant. Although the father is her fiancé, it’s not as planned event. Then to top it all off, her baby arrives three months early. The novel focuses on her time spent attached to the Neonatal Intensive Care unit at her local hospital where her baby was being cared for. 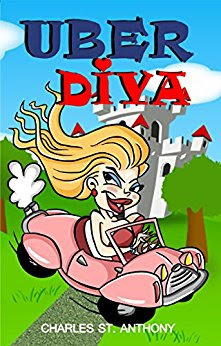 “Jennifer Gilby Roberts writes chick lit /romantic comedy and women's fiction novels and short stories featuring sweet romance and dry humour. They will especially appeal to fans of Sophie Kinsella, Marian Keyes and Jane Costello. She has a degree in physics and a postgraduate certificate in computing, so a career writing fiction was inevitable really. She was born and grew up in Surrey/Greater London, but now lives in Richmond, North Yorkshire with her husband, small daughter, two middle-aged cats and a lot of dust bunnies. What I like about women’s fiction, in general, is that the stories often tackle complicated and deeply emotional subjects. I found this to be the case with Early Daze. Only after I’d finished the novel (in two sittings—fast for me) did I realize that the author had first-hand experience of giving birth prematurely. For sure, her intimate knowledge of the workings of an NICU added to a tale that grabbed onto me from the first page. Early Daze is not a memoir but a work of fiction, and better for it because it gives the author a broader canvass and allows her license to explore some of the “what if” moments that I’m sure she pondered when she was actually going through the trauma. Ms. Roberts is one heck of a writer--crisp, clear sentences, deeply expressed raw emotion, believable dialogue; all lightened by a smattering of the strange humor that always accompanies human tragedy. Jess and the other women with babies on the NICU form a loose support group, all struggling to come to terms with the possibility that their babies might not survive. These characters were multi-faceted. They handled the stress in different ways that seemed very real to me. Pivoting around the fulcrum of her preterm daughter, Jess, her mother, her sister, and her fiancé shift and change and develop as they face up to the sudden chaos of being tossed a premature curve ball that no one was prepared for. No errors. English spelling and English settings, but nothing that would cause confusion.